I separated out the different scripts into their own pages. Swiss army knife tool for interactive modeling and retopology in Blender. My personal collection of scripts, mostly for modelling. where can I change the shortcut? Hi Raziel. If you want to assign a hotkey to the menu then you can go into “User Preferences/Input/3dView/3dView(Globals)” then you can “add new” input and type in “object.ktools”. Then you can assign the menu to whatever. If you just want to assign hotkey to any of the individual tools then you can just hit “space” then type ktools and then RightMouse Click/Assign hotkey to any of the tools. nice, glad you like it. Super scripts !!! Big Thanks, Kjartan !!! Thanks for very helpful and needed tools!!! I have a small problem that I can’t resolve. I’d like to use ‘Paint Selection sctipt’ under the shortcut CTRL+SHIFT+ALT+LEFTMOUSE but in my keymap this keys turn on the persp from ortho view. This is caused by the fact the ‘Emulate 3 button’ option is on. I’d like to use alt key that way but also to use CTRL+SHIFT+ALT+LEFTMOUSE as well. I’d like to ask how You resolve this matter? First of all I do not use “emulate middlemouse button”. If you dont have a proper 3 button mouse then you should maybe consider getting one. Second, that option hard codes all combinations of SHIFT, CTRL and ALT + LEFTMOUSE button click as far as I can tell. So that means there is nothing you can do to change the keymap for any of those keys when “emulate middlemouse button” is On. 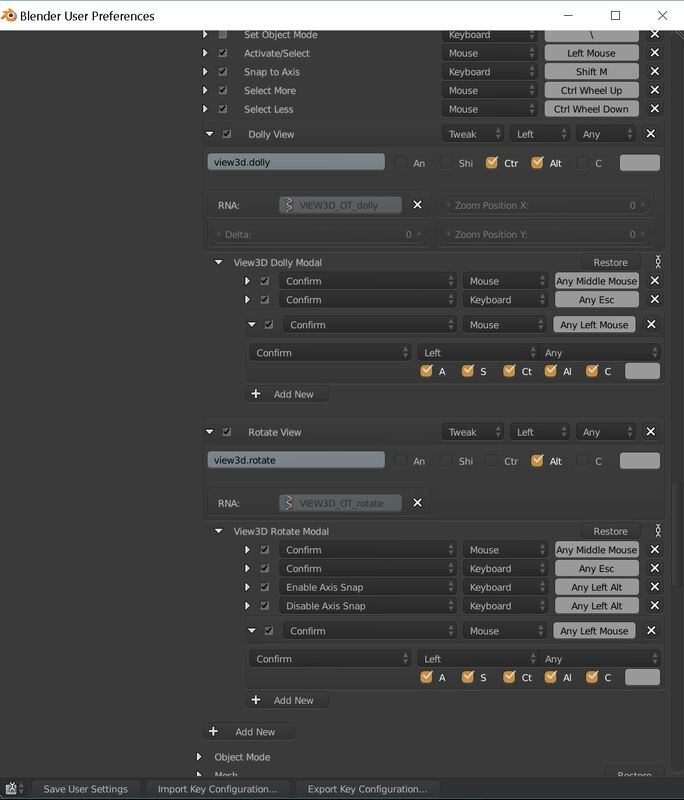 But what you can do is to turn that option off and instead create Move, Dolly- and Rotate-View hotkeys manually under “UserPref/Input/3dView/3dView(Global)”.